We are just weeks away from raffling off this amazing motorcycle benefitting our military! 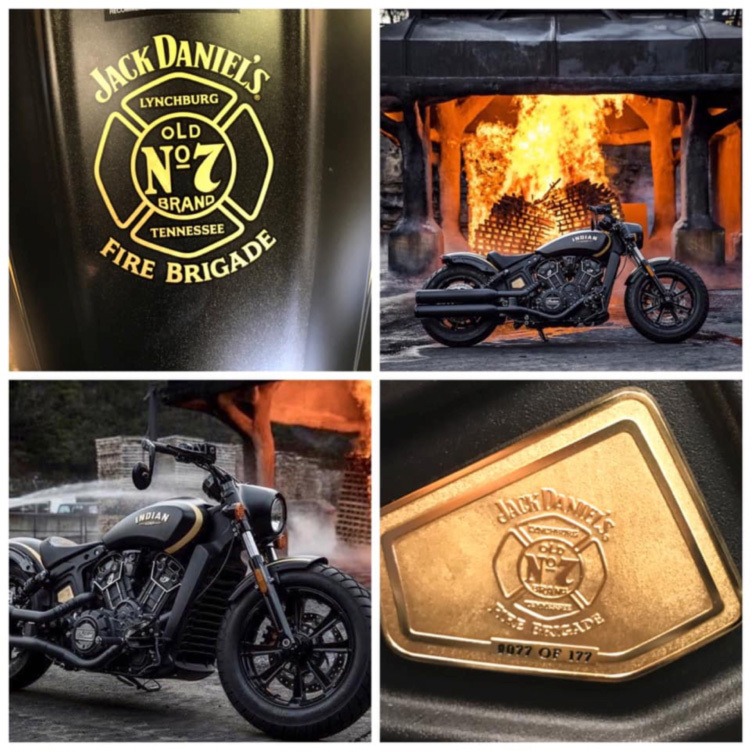 In honor of our Military and First Responders, Operation Once in a Lifetime and Jack Daniel’s Tennessee Whiskey are teaming up to support our U.S. Service Members & their families by raffling off this Limited Edition Indian Scout Bobber Jack Daniel’s Motorcycle! There was only 177 of these limited edition bikes ever made (which sold out in 8 minutes of being released for sale) and thanks to Jack Daniel’s and Operation Once in a Lifetime, you will have the chance of owning the #77 bike by donating $20 for 1 raffle ticket, $100 for 6 raffle tickets or $200 for 15 raffle tickets, with only 6,895 raffle tickets available. Why 6,895 raffle tickets? That is the amount of US Service Members killed in Iraq & Afghanistan! Live drawing will be May 25th 2019 at our 7th Annual Rock for the Troops Charity event sponsored by Homes by J Anthony. Raffle tickets are available online at www.RockForTheTroops.com. 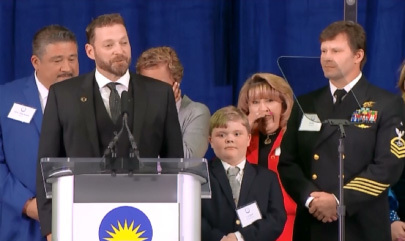 Operation Once in a Lifetime surprised a Combat Veteran whose wife has cancer and a Navy Seal whose wish is to help a child who is losing the ability to walk at the IICF benefit dinner that left everyone in tears. Happy New Year! We can’t believe it’s another year already. We are so grateful for all of your continued support. Below are two updates we wanted to share. 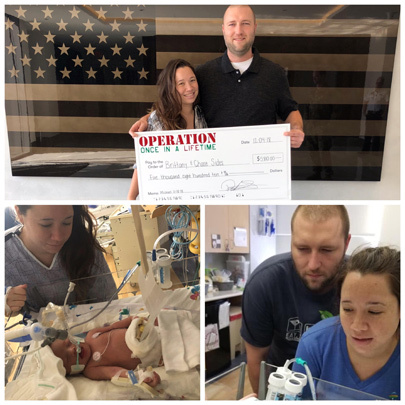 Operation Once in a Lifetime was able to provide a $5800.00 emergency grant for a Marine Corp Veteran family who was in need of emergency assistance after their son was born 2 months early and was in NICU an hour away from their home. 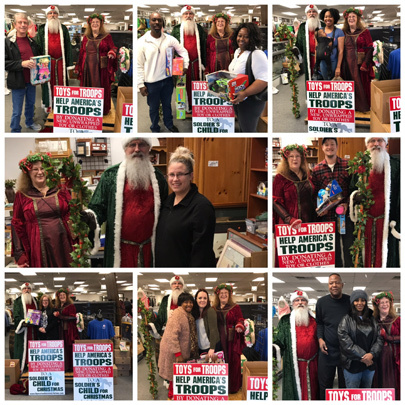 Operation Once in a Lifetime’s annual Toys For Troops Program was able to assist over 800 families that were in need of a little help during Christmas. Over $50,000 in toys were distributed to families in need. The Holidays can be a tough time of year for many families, especially military families who deal with the constant deployments of their loved ones and moving around from duty station to duty station. During the November and December timeframe, Operation Once in a Lifetime will receive about 4500 requests from Active Duty Service Members, Veterans and their families needing assistance for holiday meals and toys for their kids for Christmas. 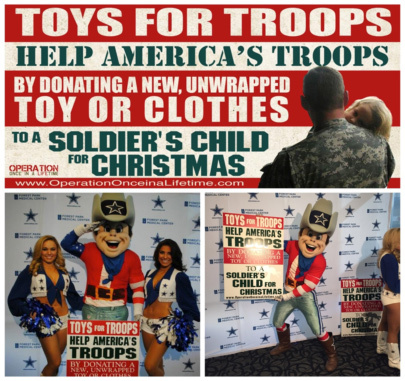 Operation Once in a Lifetime developed a a program called Toys for Troops where we raise toys for military families needing assistance during the holidays. Not every military family is in need but for the ones that are, we try and make a positive impact in their lives by donating new unwrapped toys to them. Toys can be donated at several of our drop off locations across the United States. To find the nearest drop off location near you, please email: staff@operationonceinalifetime.com or you can make a tax deductible donation directly to our Toys for Troops Program by going to our Current Needs page and look for the Toys for Troops section.